President Michael Sata’s directives to the Director of Public Prosecution (DPP) to prosecute UPND president Hakainde Hichilema is impeachable under the laws of Zambia and therefore Members of Parliament must take note and stop the continued breach of the constitution by the Head of State, says Political Activist Dante Saunders. Mr. Saunders said that it had become a habit for President Sata to breach the constitution with impunity and without any remorse. Mr. Saunders said that President Sata must exhibit high levels of morality in the manner he was conducting himself. He said that it was sad that President Sata was exhibiting high levels of bitterness against people who criticized his undemocratic and uncommitted leadership in the fight against corruption and respect for the rule of law. He said that it had become extremely dangerous to criticize the PF government as doing so would make one an outright enemy of those in leadership and put one’s life under threat. Mr. Saunders said that President Sata did not mean well for the country as he had continued to breach the constitution of the land by directing the Director of Public Prosecutions (DPP) prosecute certain individuals who were his perceived political enemies. “I was shocked but not surprised to see Mr. Sata today (yesterday) directing Mr. Mutembo Nchito to prosecute Mr. Hichilema over his wealth. One wonders what kind of hate President Sata has for Mr. Hichilema whereby he can even overrule the provision of the constitution on the office of the DPP. 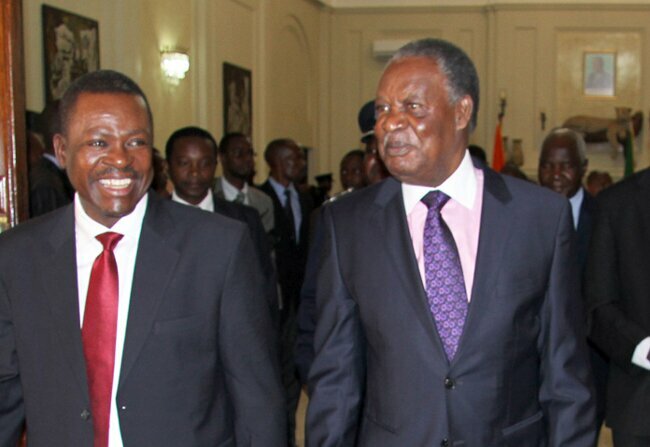 I have to remind Mr. Sata that he has no powers to direct DPP to operate in the manner he wants. What he has done again is impeachable. It is only sad that Members of Parliament are compromised and cannot hold the bull by its horns,” he said. He has since appealed to Zambians to join the crusade to have President Sata impeached saying that allowing him to continue running the affairs of the nation in the manner he was doing by breaching the constitution would be costly to the nation’s stability and unity.And UPND deputy spokesperson Cornelius Mweetwa said that his party was considering challenging all matters Mr. Hichilema was facing before the courts of law because it was now clear that President Sata had directed the DPP to prosecute him going against the constitution. 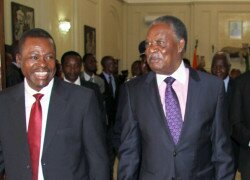 President Michael Sata yesterday directed the Director of Public Prosecutions (DPP) Mutembo Nchito to establish whether opposition UPND president Hakainde Hichilema could be prosecuted over his wealth. President Sata claimed that it was a well known fact that Mr. Hichilema stole all his wealth when he was given a job to privatize parastatal companies under the MMD government. Mr. Sata has accused Mr. Hichilema of diverting resources from the privatization of companies to his personal accounts.He said this during a swearing in ceremony at State House yesterday for re-elected Mpongwe Member of Parliament Gabriel Namulambe as Foreign Affairs deputy Minister, Sinjembela UPND Member of Parliament Poniso Njeulu and his Kalabo Central counterpart Chinga Miyutu as deputy ministers in the ministries of information and broadcasting services and Youth and Sport respectively. President Sata said that he sympathized with Mr. Hichilema because he had never worked hard for anything that he has. He said that it was unfortunate that the UPND was no longer the same party it used to be under its founder leader the late Anderson Mazoka.